We’re probably going to see the OnePlus 6T before the end of the year, but OnePlus is already looking further ahead and claiming that in 2019 it will launch one of the world’s first 5G phones. That claim was made by the company’s CEO and founder Pete Lau at Mobile World Congress Shanghai, according to PC Mag, with Lau - who's likely talking about the OnePlus 7 - adding that this is possible thanks to his company’s relationship with Qualcomm. Of course, there aren’t any 5G networks yet, but we will start seeing them in some countries from next year. The US is one of those countries, which brings us to the other thing Lau said: apparently the company aims to start selling phones on monthly plans through one or more US carriers. That would mean US customers won’t have to buy OnePlus handsets outright anymore and will also have more opportunity to try before they buy, though Lau didn’t specify which carrier or carriers he’s in talks with. 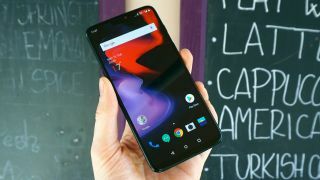 We wouldn’t get too excited about the possibility of 5G capabilities on the OnePlus 7 though, as initially 5G coverage is likely to be very limited and not all countries will even have it by 2019, but it will be one more area where the OnePlus 7 can match or better other flagships, despite probably still costing less than most. We don’t know much else about the OnePlus 7 so far but based on past form it’s likely to land sometime in mid-2019, so you’ve got a while to wait yet.